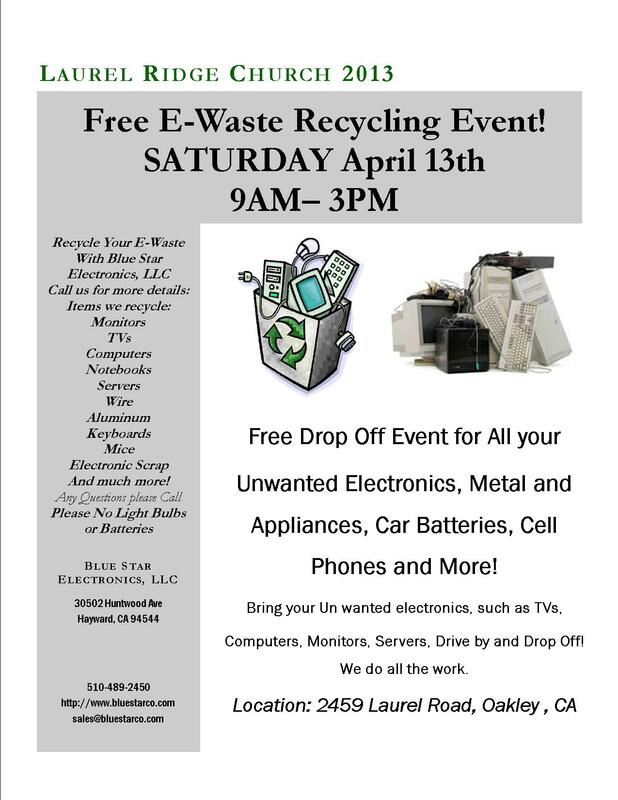 This is your chance to get rid of your Old Electronics sitting around your house and Garage. 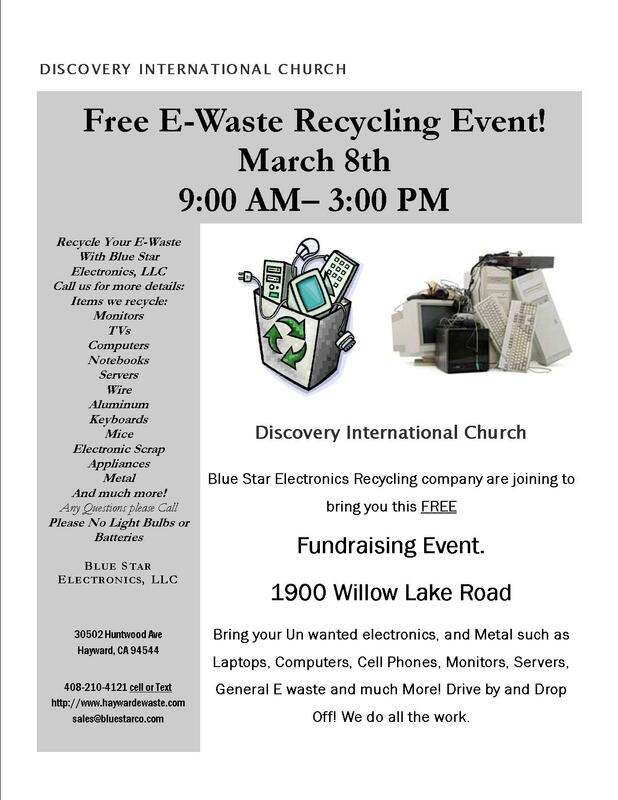 Save the Earth by recycling properly with Blue Star Electronics and at the same time raising money to help take the Kids to Camp! Blue Star Electronics LLC supports its community by partnering with nonprofit organizations for fundraising collection events. 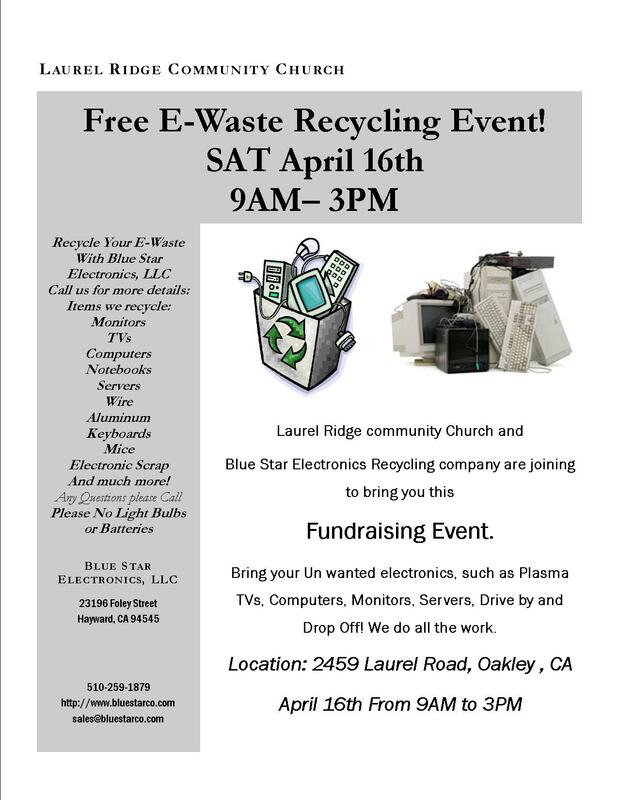 In 2010, Blue Star Electronics, LLC held 11 community recycling events, collected 130,000 lbs of e-waste and raised over $6,000 to benefit for local nonprofits. 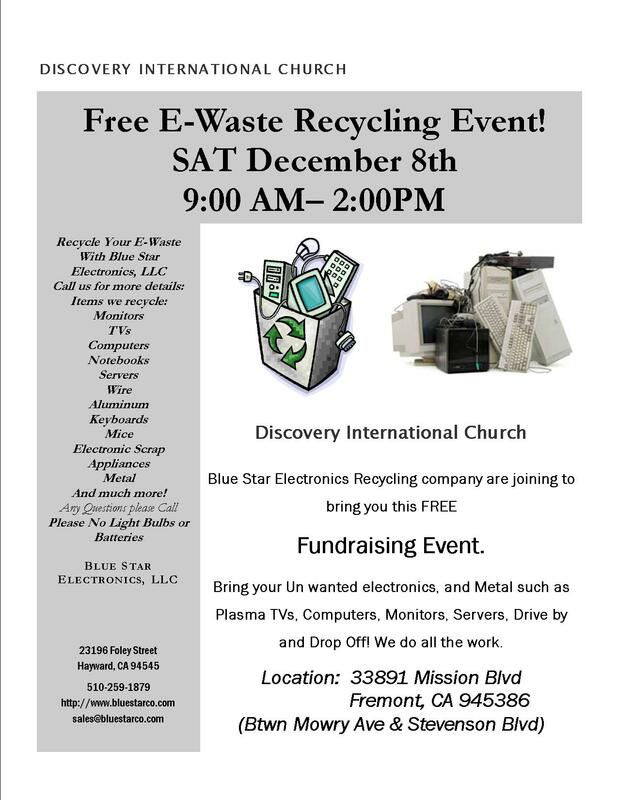 In 2011, Blue Star Electronics, LLC held 14 community recycling events, collected 225,000 lbs of e-Waste and raised over $10,000 to benefit for local nonprofits. 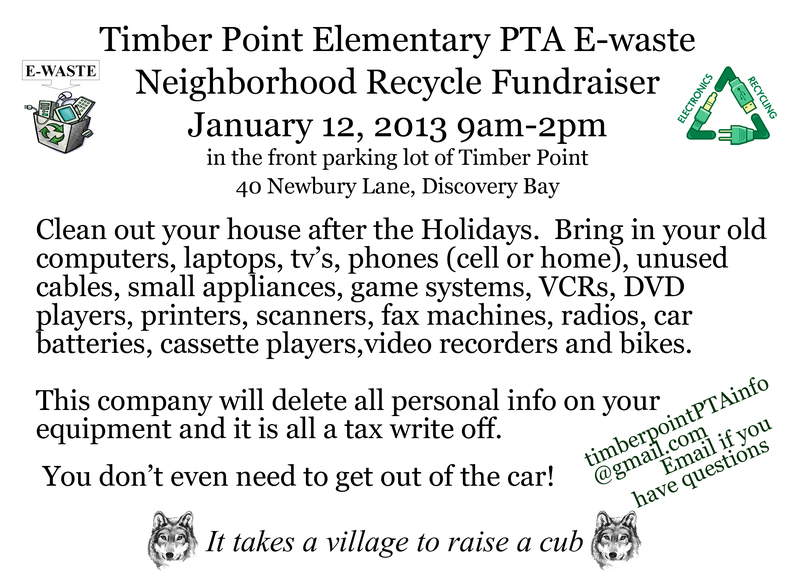 Drop off Location Front of Adam’s Middle School in Brentwood, CA Drive by and we do all the work! 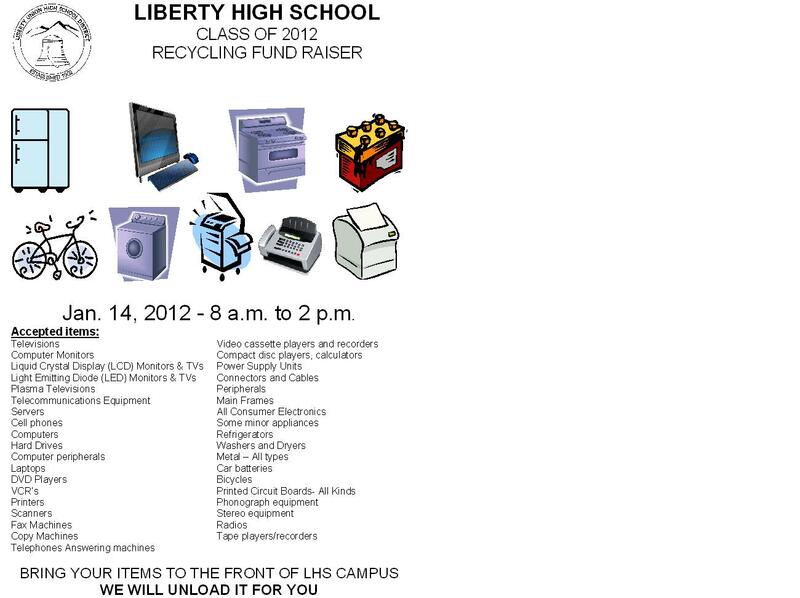 8:30-2:00 Free E Waste Recycling Event.